Lancashire CC have confirmed that Karl Brown, Simon Kerrigan and Arron Lilley have left the club following the conclusion of their contracts. All three came through the Lancashire system and enjoyed success with the Red Rose. Brown and Kerrigan were part of the side that won the County Championship for the first time in 77 years in 2011, while Lilley was crucial to the T20 Blast triumph in 2015. Opportunities have been limited for Brown and Lilley in recent years, while it was announced earlier in the summer that Kerrigan was to put his playing career on hold to take up a role within the club’s coaching structure for the rest of the 2018 campaign. 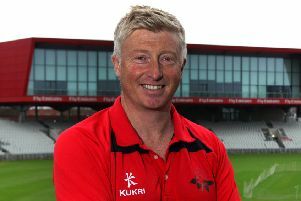 Lancashire’s director of cricket, Paul Allott, said: “Karl, Simon and Arron have given their absolute all for the club over the years, having come through the age-group and Academy system.